So, what did we think? I thought it was great and we’ve already had the first twist! I think it’s going to be a few flips along the way, anyone in the line for copping for it all in Ep1 will almost certainly not be in the frame or be dead by the end then resurrected to be the king pin for it all!! Thought it was excellent. No idea who to believe in and very intense but loved it. Makes The Bay look like Emmerdale. 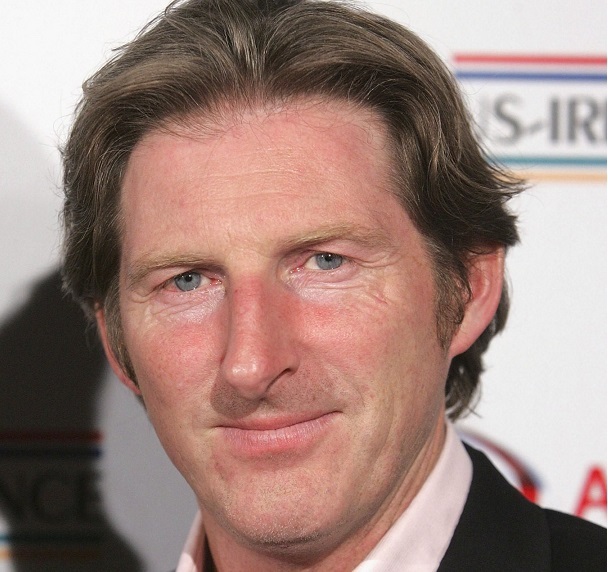 im calling it early, its the AC gaffer, ted hastings. I’m with sadexpunk, H will end up being Hastings. He was a bit quick to put some dosh behind the bar considering he’s skint. Oh, and just as a marker, the big undercover OP will be an internal sting type thing on AC 12. Hastings is short of cash and in some shady business. The woman who we all thought was UCO had Hastings number, he’s been feeding her info for a cut. That’s clearly what they want you to think. Showing him looking a bit shifty, trying to lay everything at the door of the dead ACC, and living in a Travelodge because he’s got no dosh, are all typical diversionary tactics! the big undercover OP will be an internal sting type thing on AC 12. Hastings is short of cash and in some shady business. Well obviously, I worked that out in the first 5 minutes! Edit- thinking about it, if Ted was shady, wouldn’t he have the 25k roll under his floorboards and not be living in Linton Travel Lodge? Nope…… in true line of duty style, halfway through the penultimate episode they will introduce a new character who hasn’t been eluded to previously – turns out, they did it. Probably an evil twin brother or something, or somebody will find an old photo picturing said new character with one of the victims. All of your painstaking attention to the storyline, evidence and analysis of the potential suspects will turn out to be completely wasted. All of those little things that don’t quite make sense that you are trying to piece together – nah, we won’t even mention those again and just leave them hanging/unresolved at the end. LoD is the equivalent to a locked-room mystery, but in the end they just write-in a hidden trapdoor under the rug. “apparently”…. Hastings was keen to point this out. He would be too obvious as ring leader, right? Martin Compston is a Scot. You don’t need to know this, I just like to remind people occasionally that he is not only doing the same filigree acting work as the rest of the cast, but he’s doing it in an unnatural accent. Linguistically, he’s doing everything backwards and in high heels – the Ginger Rogers of AC-12. Not sure if this is impressive or, now I think about it, his accent is just rubbish. It always seemed quite overt either way. H is obviously Hastings wife. She’d been pumping him for information and passing it on to the OCG for years. He looks shady because he’s covering up for her. She appears in a photo in the first episode. The first twist was more obvious than an obvious thing shouting ‘look over here’. However that don’t mean much what with it only being ep1. However, who the top dog of the tree is, who knows, I suspect what will happen is either what batfink says (boo), or it will be Hastings, cause, who else we got? Unless they get busy introducing some more contenders in ep2. Either way Stephen Graham is a welcome cast addition. Remember the Beeb have bought two series – season 5 and 6. So if you think H is going to be revealed in the next 5 episodes you are strangely mistaken. Definitely. He makes the other actors look a bit ‘Amateur Dramatics’ though… All the confused frowns and surprised looks every time a new lead or clue comes up.. er you’re cops, you see this stuff all day every day! Yeah I enjoyed that too – a great start to the new series. Loved the “Lagan in a bubble” line from Hastings. Superb. The great thing about this series is that from the beginning you know it’ll be utterly ludicrous so you don’t have to think what the hell has happened to something that was once entertaining but just about plausible. OCG DOB EDB ED-209 and out baby. Was the place that Maneet croaked the same place that Hilton met his end? I said last night that I recognised the location but couldn’t remember where from – you may well be right. Yes, where Hilton died and also the site of a historic murder. It was a teacher/youth worker from one of the previous series who got done in there I seem to remember – also got labelled as suicide. I missed the previous four series of Line of Duty and also missed last night’s first episode of the new series. Is it one of those series where there is some form of continuation from previous series e.g. character development, links to previous plots etc. and therefore would be difficult to fully immerse yourself in the new series, or is it a series that will completely stand up in its own right and be worth watching as a LoD newbie? Needs to be seen from the beginning I think. I started with the second series but only 10 minutes in stopped watching and went to the first on demand. +1 from the start. They’re all on iPlayer. The first two series in particular (and much of the third) are awesome. I was enjoying it until the undercover cop killed 3 cops, I’m out ! Do we know it was him (they were wearing balaclavas). And even if it was, we do not know if he has gone rogue because he’s been off grid for months. Start with the last series and you can quickly gauge what a load of rubbish it is. Not the first time there has been speculation about Hastings but as others have pointed out if he’s a crook he’s not a very good one – living in Travelodge! I’m sure there will be plenty of moral hazard in there for him though.. I thought it was good enough. I’ll keep watching it out of habit – just to see what twists they shoehorn in. I’m a bit conflicted about the acting though – some of the actors are good and some are shite. Dunbar, with your various “…for the love-a-Jaysus…” type invocations, I’m looking at you especially. None of these high budget cop dramas, LoD, Bodyguard, etc have come near to how good Informer was. Stephen Graham stopped one of the balaclava’s from shooting the driver as he ran away, so he might not have actually shot anyone there. But he did sanction Maneet getting topped, so he’s a bit of a wrong’un. Of course it’s all rather far fetched but if you have Netflix go and watch The Miami Showband Massacre and then decide if it’s quite as implausible as you think. Not seen any of the previous series, but last night was a blinder! So they’re trying even more now to make us think it’s Hastings! Too obvious I reckon – all those shots of him ominously watching the interrogation were a bit too OTT. That, and we weren’t shown the photo of who recruited the arrested officer. Still can’t work out whether Mercurio is a top writer or a bit of a hack? Having said that, this series so far is magnificently ‘grey’ in terms of who’s straight or bent. Is Arnett being played and slipping over to the dark side? Corbett said a couple of times he’d protect those who were straight but didn’t care about what happened to the corrupt, but he spared Caffery’s life and she was/is (albeit coerced) bent. True to form, it’ll go totally bonkers at some point in the next couple of episodes but so far this series is better than the last couple for me. The female DI is ex undercover and so far smelling of roses…. I am definitely becoming a LoD nerd. Did anybody else spot Vicky McClure’s Forest scarf? Wife.. Who did she point to? Wife… It was Ted wasn’t it! Me… I don’t know, we didn’t see which photo she pointed out. Wife… It was Ted, its got to be Ted! Me… I don’t know we didn’t see the photo.